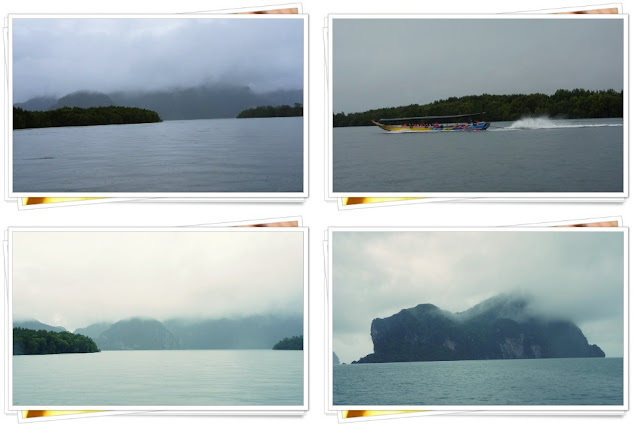 The plan for day 2 was mainly around Phang Nga Bay. 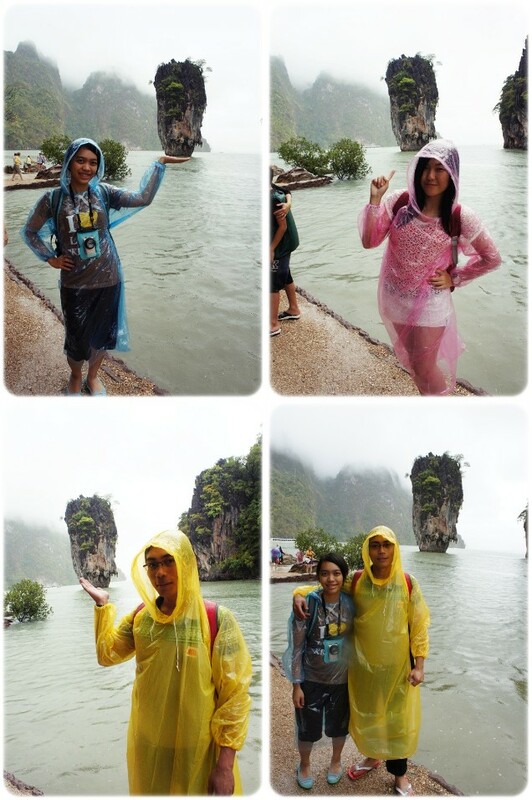 Since we couldn't get any Phi Phi Island pacakage, hence we opted for James Bond Island. The Island is about 2 hours away from our hotel in Krabi. 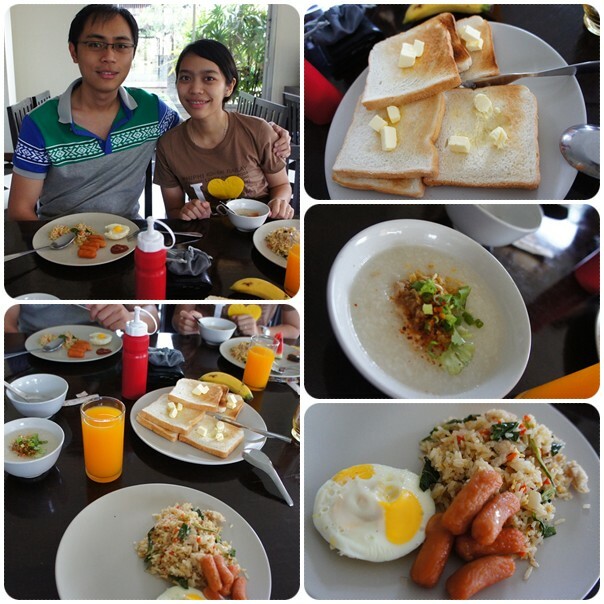 We had our breakfast in the hotel. On our way to the Jetty. 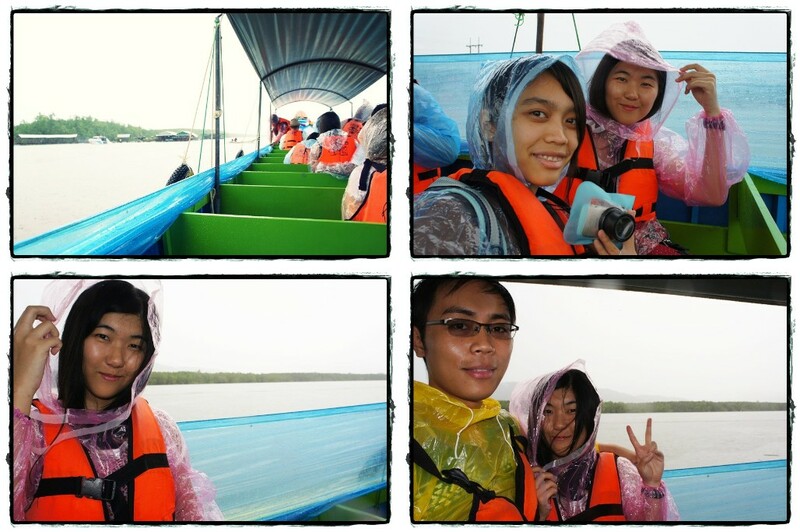 Took us about 1 and half hours to reach the Jetty and another 30 to 40 minutes to reach James Bond Island by riding the Long-Tailed boat. 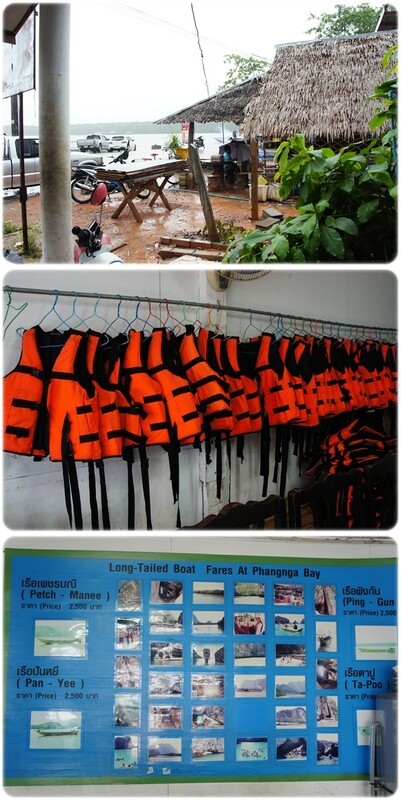 We paid RM120 per person whereby it includes transportation back and forth from our hotel to the jetty, long-tailed boat to James Bond Island and also lunch in Koh Panyee (floating village). With our striking colour flip-flops. 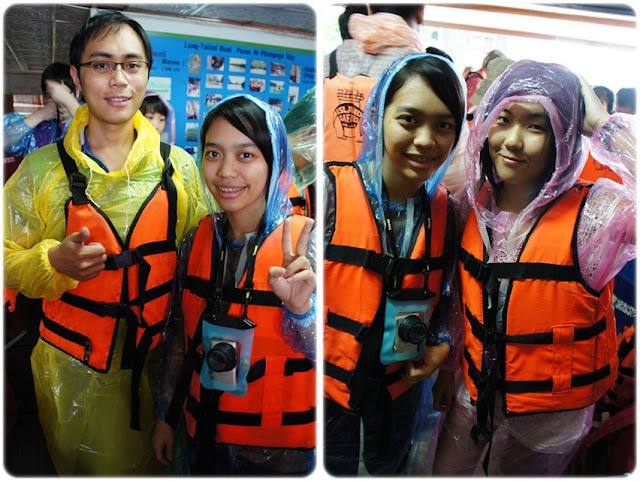 It was raining so badly, we have no choice but to wear the hideous raincoats. Booo! The reason why it was known as the James Bond Island was because in one of the movies, James Bond actually have some action scenes in this very Island. 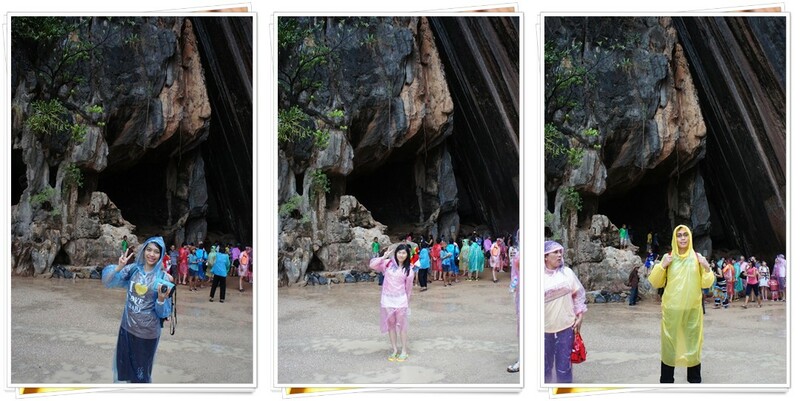 Hence the James Bond Island. With the main attraction of the Island. Love the place. It would be even lovelier if it is not because of the rain. Departure time. 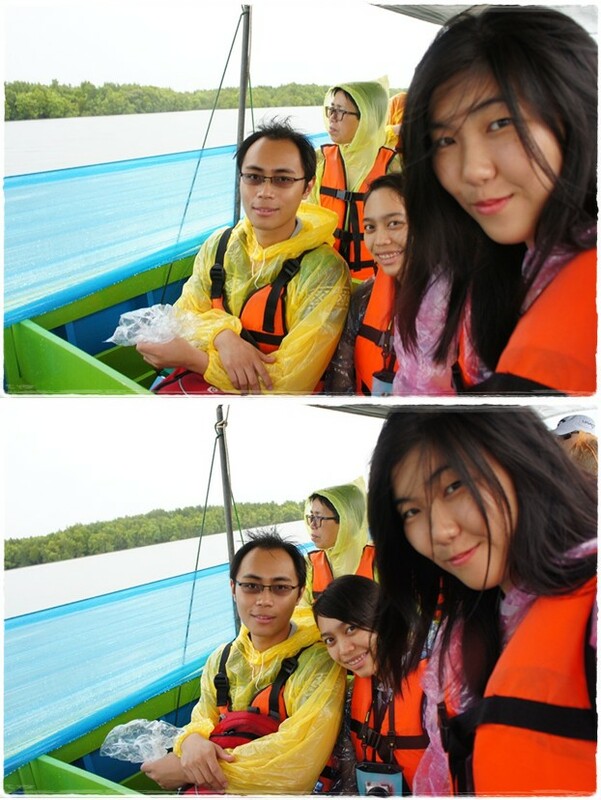 Next destination was Canoeing a.k.a kayaking. So sorry for the super slow updates. I've been really lazy and busy. Don't expect a lengthy post with words from me. I'll only post pictures for the next updates. Hah! Blame the laziness in me due to work. PS: Such a breathtaking view.